F) County Council On-Line Voting Voting . 1) Formal minutes of GPLAC meetings shall include only a record of decisions taken on a particular proposal or motion, as well who voted for, against or stood aside, and a record of all outstanding concerns. 2) An official audiotape be made of every meeting, which would be used to settle questions about the minutes or anything else of the meeting's proceedings. Taping of the meeting shall be the responsibility of the Co-Coordinators and the Secretary. For GPLAC officers like Co-Coordinator, Secretary and Treasurer, and for Regional Representative to the Coordinating Committee of the Green Party of California (or other such elections), the election shall be conducted so as disclose the intentions of the voter. To accomplish this, County Councilmembers would rank their choices on a written ballot, using the Single Transferable Vote, and would indentify themselves on the ballot. 1) Any person appointed to the County Council at a face-to-face meeting, can participate at the next face-to-face meeting or as part of post-meeting on-line or conference call votes, as soon as their Nomination Petition signatures are validated. 2) Nomination Petition signatures shall be validated within seven business days of their delivery to either of the GPLAC co-coordinators. Nomination Petitions may be delivered before a County Council meeting or at a County Council meeting. 3) The Co-Coordinators and the Secretary shall have the responsibility to ensure that the Green registration status of the petition signers is validated. Validation must occur within seven business days of signatures being handed in to the Co-Coordinators. Validation will include comparing the signatures to those at the County Registrar's Office. 4) A person may also be appointed to the County Council by virtue of an on-line vote of the County Council, as long as their signatures have been validated before the vote occurs. They may then participate as a full voting member at the next face-to-face meeting, if they are appointed by the deadline for the release of the agenda for that meeting. 5) A person appointed in an on-line vote may also participate in on-line votes, but not before the next face-to-face meeting occurs, or after 30 days if no face-to-face meeting occurs in that time. 6) If there is a dispute over the Green registration status of petition signers, an appeal may be made to the County Council and agendized at its next meeting. The Co-coordinators shall make a written report of their findings available for inclusion with the agenda for that item. The County Council may appoint Alternates for each of the GPLAC State Coordinating Committee Regional Representatives. Any GPLAC member is eligible to be an Alternate GPLAC Regional Representative. A Coordinating Committee member may not also be a County Co-Coordinator, but an Alternate may be. In a case where an Co-Coordinator is an Alternate, should the Representative leave the seat (through resignation, recall or other cause), and should such an Alternate assume the seat in his/her place, then that Alternate shall be considered to have immediately resigned their Co-Coordinator position. The GPLAC seeks to retain flexilibity in its selection of Alternates, in order to be able to appoint Alternates for periods of specified duration. Current GPCA Bylaws state that the term of an Alternate shall be concurrent with the term of the Representative. If the GPCA Bylaws change to allow for the option of flexibility on behalf of counties, this clause shall establish that flexibility for the GPLAC. If that occurs, an Alternate may be appointed for the same term as the Representative, or for a period of lesser duration. The voting procedure for each seat shall be by Instant Run-Off Voting, using a simple majority threshold, as referenced in the GPCA Bylaws (Section 7). To ensure that at least one Alternate is male and one female, Alternates shall be chosen first for the male and female Representatives. If at this point, there are at least two of each gender, out of the five selected (three Representatives, two Alternates), then the last Alternate may be from either gender. If not, then the final Alternate shall be chosen to ensure that there are at least two of each gender. Alternates may not be chosen at the same meeting as Representatives for the same seat, but rather may be selected at any subsequent meeting, as long as there is the same notice for the selection of the Alternate, as there would be for the Representative for that seat. Notwithstanding this, the County Council may make an appointment upon shorter notice ' if at least one meeting has passed after the initial meeting at which Representatives were chosen -- if it also first approves 'findings' explaining why such an abbreviated decision-making schedule was necessary. This may not be used for more than one seat at a time. The length of the term for GPLAC Regional Representatives to the GPCA State Coordinating Commitee is set by the GPCA at two years. The beginning and ending of the GPLAC term shall run from the fourth Sunday of March, in even numbered years, to the day preceding the fourth Sunday of March, in even numbered years. If an election for the seat is held on the fourth Sunday, the Representative is considered seated upon election. There shall be a Database Coordinator that is responsible for managing the Database according to the direction set by the County. Among his/her tasks, the Database Coordinator would be responsible for maintaining the database, including cleaning and updating the email addresses, and entering information as needed that comes from web and phone referrals, the GPCA from its fundraising and volunteer records, and from any Green local or candidate that chooses to share it. The Database Coordinator will provide quartely reports to the GPLAC. The Database Coordinator will not provide access to, nor share the contents of the database with any individual or organization, unless specified to do so by the County Council, and the Database Coordinator will sign a document with the County Council to this effect. There shall be a Database Committee that shall work with the Database Coordinator to help implement County Council direction regarding the Database. The Committee shall include the GPLAC co-coordinators, the Database Coordinator as well as additional members as appointed by the County Council. The Database Committe shall create options for GPLAC members, so that they could receive by email, the type of information they are interested in. This would include notice of County Council elections (and filing deadlines), notice of the election of GPLAC Officers and GPLAC reps to the GPCA CC, County Council meetings and agendas, and other items directed by the County Council. County Councilmembers will have no special access to the Database, just because they are County Councilmembers. Candidates endorsed by the GPLAC County Council may have emails sent on their behalf to registered Greens in the GPLAC database, at the discretion of the County Council. The County Council shall develop a plan for how often this opportunity will be provided. It is the responsibility of the GPLAC co-coordinators to are directed to communicate to the GPCA that the GPLAC would like to obtain the donor and volunteers lists for Los Angeles County in the GPCA's possession. The GPLAC will develop and authorize periodic fundraising appeals directly to its members via email and the PayPayl link on the county's website. Official Communications on behalf of the GPLAC, either of the GPLAC Co-Coordinators or the GPLAC Secretary shall be copied to the two others. Official communications by the Treasurer shall be copied to the Co-Coordinators and Secretary. All such communications shall use the following email addresses in copying communications to each other: gplac-cocos@cagreens.org, gplac-secretary@cagreens.org and gplac-treasurer@cagreens.org. These email addresses shall be attached to a web-archive, which will archive GPLAC official communications. Purpose/Charter: For open discussion by any LA County Green Party member about issues, strategy, trends, organizing and other activities of the Green Party in Los Angeles County. 1) GPLAC County Council members (and GPLAC state Coordinating Committee regional representatives) are encouraged to subscribe to this list, either in full or digest form. 2) Event Announcements should be limited to those related to the activities of the Green Party and/or Green Party members. Participants: Read/write participation by any Green Party member in LA County. Participation subject to the Green eRules attached below. Sign-Up: Sign up will be by submission form on County site. The List Administrator will check all submission against the list of registered Greens in LA County. By signing up one agrees to abide by the Green eRules. Submission requests will be processed within seven days. Green registration status of participants will be checked each time the GPLAC obtains a new voter registration list. Purpose/Charter: For discussion purposes only among County Council members. Participants: Read/write participation by County Council members; Read-only status for any other Green member in LA County, available either through a web archive or as email. Individual Greens retain the right to directly email a County Councilmember. That Councilmember could then choose to forward that email to the group. However, County Council members should only repost within reason to make a point, rather than to insert the non-County Council member into the debate in an ongoing manner. note: County Council decisions will not be made on this email list. County Council votes will be cast on a separate voting web page. See #3 below. Sign-Up: The List Administrator will automatically place all County Council members on the email list as full participants. In participating, all County Councilmembers agree to abide by the Green eRules. Purpose/Charter: For two purposes: pre-vote discussion of agenda items for on-line votes and face-to-face meetings. Sign-Up: Sign up will be by submission form on County site; the List Administrator will check all submission against the list of registered Greens in LA County. Posting will be password protected, with individual passwords linked to individual e-mail addresses. By signing up one agrees to abide by the Green eRules. Submission requests will be processed within seven days. Green registration status of participants will be checked each time the GPLAC obtains a new voter registration list. Purpose/Charter: For conducting and recording on-line votes of the County Council. Participants: County Council members. Results will be available to be read by all, with a link from the GPLAC home page and County Council page. Design: This will be a variation of the GPUS Voting Page at http://gp.org/cgi-bin/vote/index. The code is open source and the GPLAC will incorporate this into a design using the GPLAC's own graphics. Sign-Up: The List Administrator will automatically place all County Council members on the email list as full participants, and assign each a password. Green eRules are meant to help promote a productive, transparent and respectful environment for this to occur. GPLAC on-line forum participants are encouraged to state their views, inform one another, and discuss issues in depth, in a manner that enables energy to be focused on productive work. Disagreement over issues and ideas should be honored as an expected part this process, and is not to be considered a disruption or impediment. The GPLAC share forward to Active Green Locals, referrals for those areas of Los Angeles County that those locals are recognized for, that come in through the County web site's - "Interest/Volunteer page", as well as referrals that come in from the Green Party of the California and the Green Party of the United States. In order to provide information to Green voters about County Council candidates, a URL will be provided on the GPLAC web site, for every ballot qualified County Council candidate. - does not critically name or single out individuals in the Green Party. A candidate may post a photo, but is not required to do so. To qualify, a candidate shall send the html page to the GPLAC Co-Coordinators, and the GPLAC shall be responsible for uploading the page. 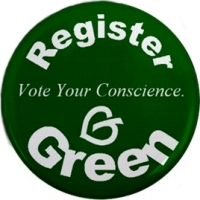 In order that Green Party members can be made aware that they can sign the nomination petitions for Green County Council candidates in their district, and to aid potential County Council candidates in connecting to Green Party members in their district, contact information for County Council candidates will be provided on the GPLAC web site so that Green Party members who may want to sign for someone in their districts, will have the information to do so. The Los Angeles County Registrar's web page has a link to this information and linking to it from the GPLAC site, along with an explanation of why, can fufilll this requirement. schedule. Other items should be saved for face-to-face meetings. Any GPLAC County Councilmember can make a proposal. The person or group who initiated the proposal (proposals may originate from a non-County Councilmember but must be sponsored by a GPLAC County Councilmember), and also who will reply to clarifying questions. The County Council shall take a position on the question, and then shall cast its allotment of votes in the same proportions as taken by the County Council.